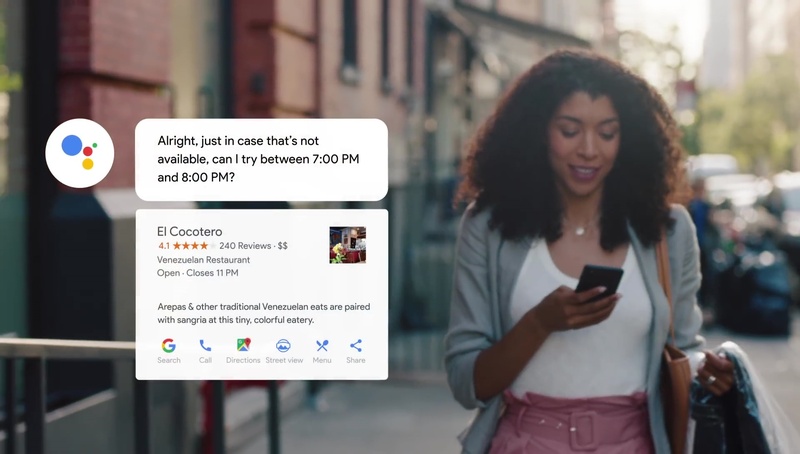 Back at I/O 2018, Google had announced something called Duplex, which would eventually allow users to use the Assistant to call businesses to set appointments or reservations without calling them yourself. Fast forward, and Google shows exactly how the Assistant will identify itself when calling. Take a look at the video below. As mentioned in the video, you’ll first need to say to the Assistant to make a reservation/appointment on a specific day, then the Assistant will take the info you gave it and places the call. The version of Google Assistant that actually talks to the business is slightly different than the one on your phone, and it will introduce itself as the Google Assistant. Google Duplex is using deep neural networks and AI to help make conversations seem more natural sounding. Google detailed the technology behind Duplex on their AI Blog. Google had invited a select group of journalists to get an actual demo of Duplex in action. You can read more about it via The Verge and TechCrunch. Google will be testing Duplex later this summer with select users and business but wider availability of the feature still has a long way to go.